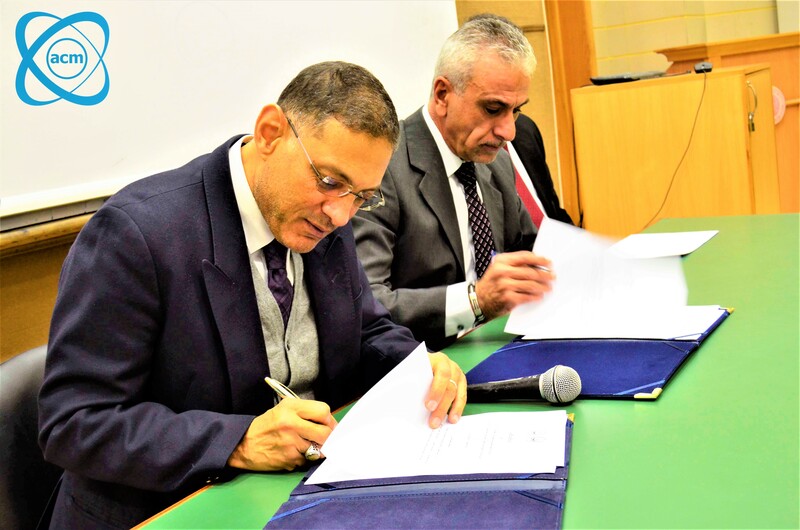 A delegation of the Next Technology Leaders Initiative (NTL), launched by the Ministry of Communications and Information Technology, paid a visit to Pharos University on Tuesday, 25 December 2018. The delegation was received by Prof. Mahmoud Mohy El-Din, the President of Pharos University where they discussed the cooperation agreement to be signed between Pharos University and the Ministry of Communications and Information Technology. 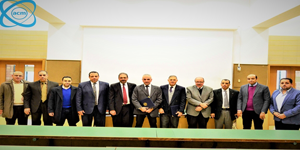 This meeting was also attended by Mr. Ahmed Alaa Ragab, the PUA Secretary General and Prof. Mohamed Gaber, the Dean of the faculty of Engineering who signed the protocol stating the launch of the NTL Initiative in Pharos University. This initiative aimed at developing the skills of students and teaching assistants in the realm of technology through offering technical courses in the best online educational platforms. Students, accordingly, will be given an internationally- accredited certificate that enables them to cope with the latest technological advances. One of the advantages of the NTL Initiative is that a series of technical courses are regularly offered in order to disseminate knowledge and issue an international certificate on completing training. Each student, who completes his/her training course successfully on the set date and participates in the course orientation activities, shall receive a 1000 L.E. cash prize by the end of the course. The coordination of this event was managed by the ACM-PUA Student Branch that will be responsible for supervising the enrolling process of students in these courses.